Manfred Laubichler is President’s Professor of Theoretical Biology and History of Biology and Director of the Global Biosocial Complexity Initiative at Arizona State University. 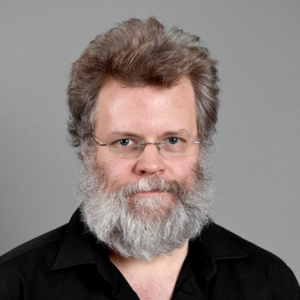 His work focuses on evolutionary novelties from genomes to knowledge systems, the structure of evolutionary theory and the evolution of knowledge. His undergraduate training was in zoology, philosophy and mathematics at the University of Vienna (Austria) and his graduate training was in biology at Yale and in History/History of Science at Princeton. He is an external professor at the Santa Fe Institute and co-director of the ASU-SFI Center for Biosocial Complex Systems, an adjunct scientist with the Marine Biological Laboratory at Woods Hole, MA, a visiting scholar at the Max Planck Institute for the History of Science in Berlin, Germany, and Guest Professor at Leuphana University in Lüneburg, Germany. He is also an elected fellow of the American Association for the Advancement of Science and a former fellow of the WIssenschaftskolleg zu Berlin. Linksvayer TA, Fewell J, Gadau J, Laubichler MD. 2012. Developmental Evolution in Social Insects – Regulatory Networks from Genes to Societies. Journal of Experimental Zoology Part B: Molecular and Developmental Evolution. 318:159-169. Laubichler MD, Davidson EH. 2008. Boveri’s long experiment: sea urchin merogons and the establishment of the role of nuclear chromosomes in development. Developmental Biology. 314:1-11.